When maintaining peak productivity is everything in a business perspective, why let something as resolvable as lock and key troubles get in the way of smooth business transactions? 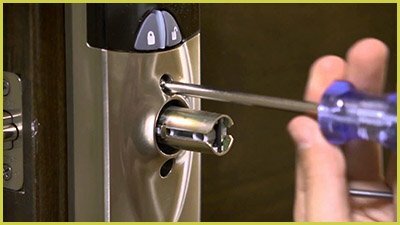 At All County Locksmith Store we give priority to your distress calls as your most reliable commercial locksmith operating in Washington, DC area. We deal with all kind of emergencies that might hamper your operations like commercial lockouts. Do not allow missing keys, malfunctioning digital locks or jammed locks hinder the activities at the office. Contact us soon as you face such problems. We will dispatch our mobile vans to your location. Fully equipped with the tools of the trade, our locksmith team will use these to restore normalcy and carry out an emergency opening. We are an expert in damage free door opening techniques. Our team members will work diligently to help you gain entry as quickly as possible. We have a special 24-hour professional service to deal with commercial lockouts promptly. Why do you need a commercial locksmith? Businesses tend to fortify their premises and data with the latest high security locking mechanisms. In spite of all the precautions you might take, one wrong move and the worst might happen such as commercial lockouts. The job of a locksmith is a specialized one. Everyone specializes in his or her own domain and expertise. Thus, when you want to resolve problems associated with the commercial scenarios, it makes sense to call upon professionals with relevant experience in the field. Thus keeping our number on speed dial makes complete sense. Why choose us during lockouts? What is the use of a locksmith service if it is not available when the client needs it the most? Our firm believes in 24x7 operations. Long after your office closes, our help desk will remain vigilant to take up your distress signals followed by prompt actions. No one understands how important privacy is for your business better than us. Professionals to the core, we will maintain your anonymity through trustworthy solutions. Our team will work around you ensuring minimal disruption of work. You will not even be aware that we are there. Everything that our team will require to resolve the commercial lockouts issue and restore normalcy is present within our mobile vans. Maintained in top condition, they help our professional locksmiths to reach on the spot within 15-20 min. Caught up in an unfortunate commercial lockout? Call All County Locksmith Store on 202-719-2114 for immediate assistance!